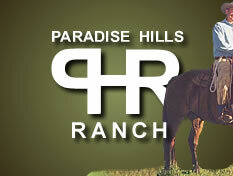 Paradise Hills Ranch, Lumby BC Canada - Horsemanship at its best. In 2014, Larry Stewart will only be conducting private clinics and lessons at his Paradise Hills Ranch, Lumby, B.C. April 18 - 21 Get an early start with the 3 R's clinic - Review, Re-new, Refine. Prequisites apply. Cost $600 Call 1-877-727-3554 for details.